The central and eastern Pacific experiences a lot of year-to-year variability in Sea Surface Temperatures (SST). Some years the water is much warmer (El Niño), and some years the water is much cooler (La Niña). The current phase of the El Niño/Southern Oscillation (ENSO) is approaching its peak warmth with near-record SST anomalies. This relatively predictable El Niño weather pattern should help the insurance industry prepare for weather patterns that could cause insured losses this winter. Although the media often highlights the negative aspects of an El Niño weather pattern, there are many positives for the insurance industry: overall insurance loss data suggests that an El Niño weather pattern generally produces better financial results for the industry than a La Niña weather pattern. Hurricanes, which are the largest cause of insured loss across the U.S., are a great example to show how El Niño has improved financial results. An El Niño weather pattern increases wind shear over the tropics, which significantly reduces the season’s Atlantic hurricane activity and therefore lowers the probability of a U.S. hurricane making landfall – ultimately leading to lower insured losses overall in El Niño years. However, as hurricane season ends and winter begins, El Niño may impact Florida weather, and consequently the insurance industry, in less financially favorable ways. Previous El Niño patterns suggest that the Gulf Coast will see cooler and wetter conditions this winter; not because of numerous arctic outbreaks, but because of the stronger influence of the subtropical jet stream. Storm tracks will then move farther south producing more clouds and rain. On the positive side, more precipitation reduces the risk of wildfires across region. On the negative side, these conditions can also lead to severe weather that includes hail and tornadoes. Figure 1 shows a comparison of storm tracks during El Niño versus La Niña years. Figure 2 shows that the El Niño severe weather signal is most pronounced in central and south Florida and illustrates increased tornado reports from National Weather Service (NWS) local storm report data for the period, 1950-2014. 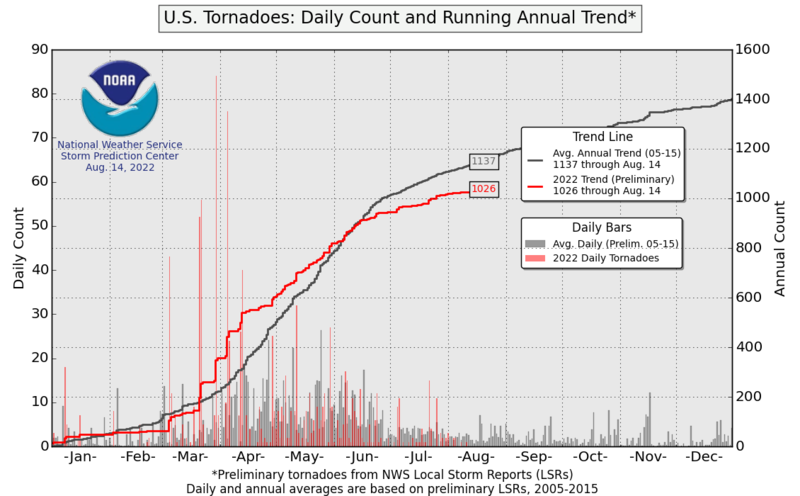 El Niño years produce 77% more tornadoes than ENSO-neutral years and 53% more tornadoes than La Niña years. Further, it should be noted that Florida tornadoes typically occur in the evening hours which can increase fatalities. Figure 2. 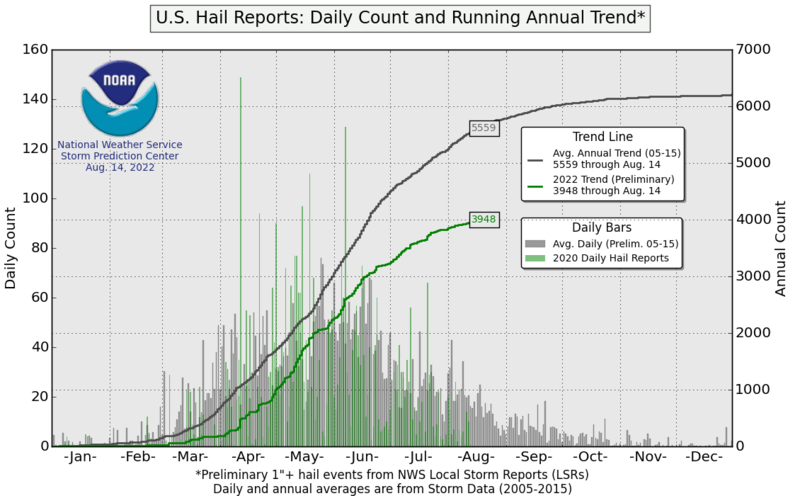 NWS severe weather local storm reports between November and March during Neutral, La Niña, and El Niño years for the period 1950 to 2014 in Central and South Florida (NWS Melbourne, Tampa and Miami Warning Areas). The 1998 February 22 – 23 “Kissimmee” outbreak continues to live in infamy as the deadliest tornado event in Florida history. In all, 12 tornadoes touched down across Central Florida. The strongest was rated EF3 and was one of the strongest tornadoes ever recorded in Florida. The 2007 February 2 “Groundhog Day” outbreak was deadly and costly for Sumter, Volusia and Lake Counties and for the insurance industry: it caused over $100 million in insured losses and damaged or destroyed over 2,000 structure. Tornadoes are highly correlated to the other perils that result from severe thunderstorms, and these other perils such as hail can result in high insured losses. In fact, one of the costliest severe weather events in Florida history was during the 1991-1992 El Niño winter which produced large hail storms that hit the Orlando metro area on March 25. Some locations reported hailstones the size of grapefruit; other locations reported that small hailstones piled up inches deep. At the time this event was the largest insured disaster in the state history; it even topped the notorious hurricane Donna in 1960. Unfortunately, the devastating hail storm was soon eclipsed when Andrew blew through southern Florida later that year. Of course, global factors other than the ENSO cycle complicate seasonal forecasting. From soil moisture in the U.S. to winds way up in the stratosphere and early winter Eurasian snowpack, these other factors sometimes cancel each other out. 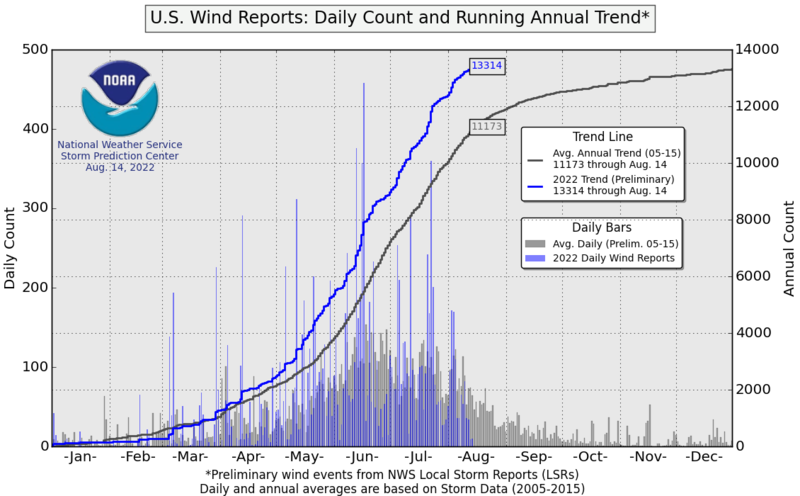 However, as shown above, the data suggest that although Florida has not seen the wind blow as a result of a hurricane in over a decade, El Niño could cause the wind to blow from severe thunderstorms that ultimately lead to potentially higher-than-expected severe weather losses across the state.